The Vickers K (also known as the GO or VGO) was a gas-operated light machine gun fed from a 100-round double-row pan magazine. It was based on the Vickers-Berthier infantry machine gun and replaced the venerable Lewis of the First World War. It was used only in flexible mounts, a fixed version proving unsuccessful. 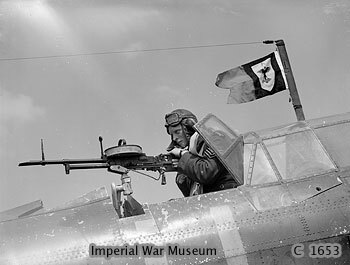 Its rate of fire was inferior to that of the 0.303 Browning, which was used as a fixed gun in British aircraft. The Vickers 0.303 Mark 5, which was used only on the Wirraway, likely closely resembled the K gun.